I know that there's good chance that you the reader are relatively young and you don’t really know what could be in store for you. So let me try to describe it to you. 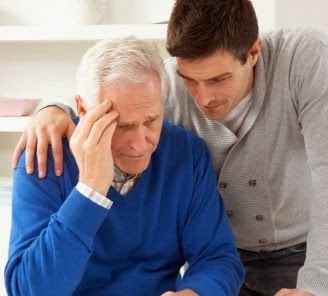 You struggle all your life to raise a family, to pay your mortgage, to gain wealth and just when you are about to retire and it's time for you to enjoy what you saved, just when it’s time for you to enjoy your grand kids, to travel, to live your dreams - just then your brain stop functioning as it should. You forget things. It escalates slowly. While in the beginning you don't remember one word, or forget where you put the car keys - little by little you start slipping away from those surrounding you. Over the years you become more and more dependent on your family, unable to take care of yourself, exhausting your family’s emotional, physical and financial resources. This is not science fiction - Alzheimer is ranked 6'th in the list of killers and responsible for 3.4% of death cases in the US. But that's not all, Cerebrovascular disease is a group of brain dysfunctions related to disease of the blood vessels supplying the brain. This family of diseases is responsible for additional 5.2% of deaths in the united states. I would also include intentional self harm (suicide) as a killer for 1.6% of the population for a total of about 10% brain related deaths. What these numbers are saying is that if you don't die from a cardio vascular disease or cancer (50% of death cases) then chances are 1 to 5 that you will die from illnesses that are related to the brain. And if you don't die then chances are that you brain function shall deteriorate significantly as you age. 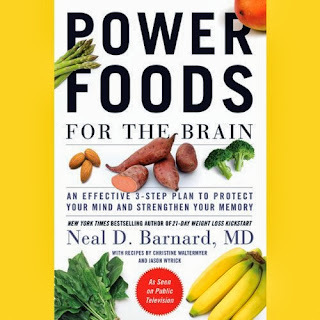 I just finished listening to the book "Power Foods for the Brain: An effective 3-step Plan to Protect Your Mind and Strengthen Your Memory" by Dr. Neal Barnard. Wow What a book! Dr. Barnard covers all aspects of nutrition and life style impact on the brain. What a treasure chest of information. Dr. Barnard doesn't go round and round and wastes my time - every sentence that he writes is full of new information and everything is explained very clearly. Very good job - I really recommend you to read this book. I am going to go over the main subjects discussed in this book - but it doesn't exempt you from really reading this important book. Do it for the sake of yourself and your parents. Dr. Barnard goes over all brain related diseases and their root cause He also goes into detail about how to identify these diseases and how they are diagnosed. For example in the case of Alzheimer - Dr. Barnard explains that when a patient is diagnosed with mild cognitive impairment - what doctors typically do is take a sample of his spinal fluids. A low level of Beta Amyloid 42 protein indicates that Beta Amyloid that's associated with Alzheimer's disease has been deposited in the brain as plaques that are located between the brain cells. A high level of Tau protein suggests that neurons have been damaged. Genes play a role in Alzheimer disease. Most of the cases are the result of a gene called APOE residing in chromosome #19. This gene contains the instructions for generating a protein ApoE that's involved in carrying fat and cholesterol from place to place. This protein has three allelic forms. E2, E3 & E4. The E4 is found in approximately 14% of the population and has been implicated in atherosclerosis, Alzheimer's disease, impaired cognition function, sclerosis and so on. If you get this gene from one of your your parents then the probability that you shall develop Alzheimer triples, if you get it from both parents then your chances are multiplying by 10!! Death cause of 3.4% of the US population is Alzheimer, but what about those that died from heart attack or cancer ~50% of the population - they too have their share of 3.4% so roughly 6.8% of the population get to the stage where they have a deadly Alzheimer and multiplying your own probability by 10 means you have a chance of 2 to 3 to develop Alzheimer! 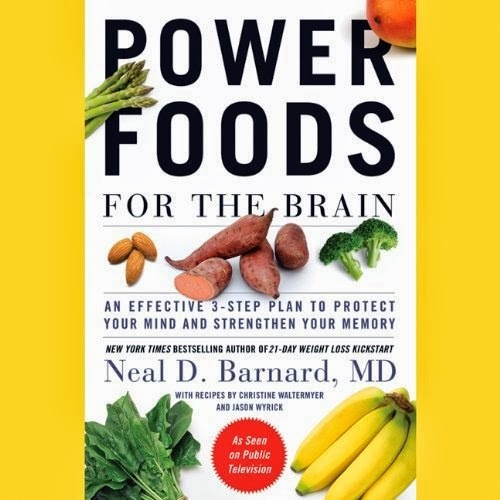 The good news is that even if you are genetically prone for developing the Alzheimer's disease - what you eat and how you live your life - has lots of impact on whether you are going to get it or not. My mother had a twin brother. As far as I know he had Alzheimer for years. In the last years of his life he couldn't even recognize my mother when she was visiting. It means that my mother too has the same genes but because she's eating good food and taking good care of herself then she hasn't developed the disease. Not yet, that is! My hemoglobin level is around the optimum at 13.7, but this is located at the far left side of the range according to your my doctors. It makes you think that you don't have enough iron. But the truth is that this range that allows you to have 17.5 is wrong! You should have around 13.7. Where do these metals come from? Some come from the water that you drink - if your pipes are made of iron then you get iron in your drinking water. They also come from your kitchenware - some old pots are made of copper. 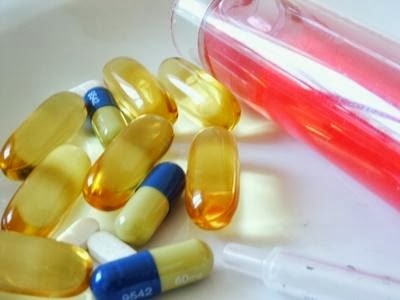 Some multivitamins contain copper, zinc & iron. I actually checked the one used by my parents and as you can see it contains these metals: 18 mg iron, 15 mg zinc and 2 mg copper!! If you eat 100 grams of liver then you get 14 mg of copper!! that's 14X of your RDA. Meat contains iron in heme form. Plants contain iron in a non heme form. 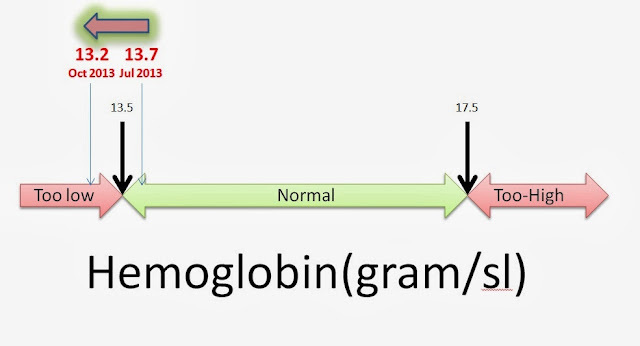 The body can easily regulate how much of the non heme iron is absorbed. If the body doesn't have enough iron then it uses the non heme iron and if the body has more than enough then it doesn't absorb the non heme iron. However when you consume meat - all the iron is going directly into your blood and your body can't regulate it. Vegetarians and Vegans have low iron levels not because they don't have enough, but because this is what their body needs. 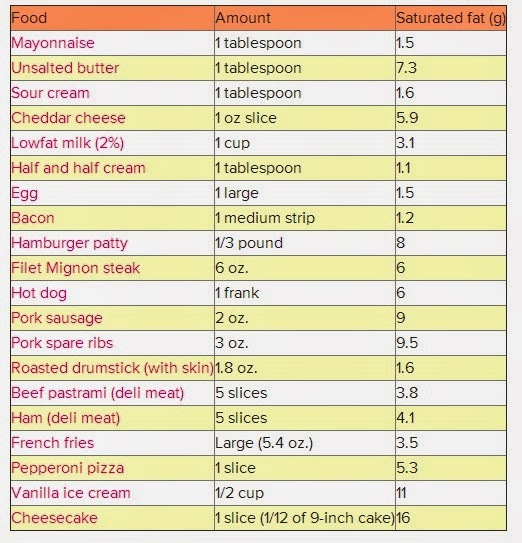 The 13.5 to 17.5 level were invented by stupid doctors who averaged the average meat eaters population and got 13.5 to 17.5 but this is way more than what your body needs. It doesn't seem like God wanted you to get your metals from animals. Plant eating animals are collecting those metals from the plants they eat, and you are coming and eating the animals and you get the full concentration of metals right in your face. A little fish is poisoned a little by mercury. Then comes a bigger fish and eat it and then there comes an even bigger fish and eats the big fish and you are eating this big fish, focusing on its liver - come on! you get all the metals straight to your blood!! Aluminum too is toxic and does mental damage. You can find it as emulsifying agents in cheese, especially in frozen pizzas, in baking powders, in foils and cook ware, in spaghetti sauce, tea, and in soda cans. Over a 4 year period people who consumed ~25 grams of saturated fat per day had at least twice the risk of developing Alzheimer disease than those who ate half as much. Typical vegetable oils on the other hand are reducing the risk of developing an Alzheimer's disease. Hydrogenated fat (Trans fat) is an artificial fat that you can find in margarine, pastries, snack foods and french fries and Dr. Barnard points to a research showing that people who are consuming such fat are doubling the risk of developing Alzheimer's disease. Consuming these toxic fats is causing the body to create more Cholesterol and it in turn helps creating the Alzheimer's Amyloid plaques. The Allelic form E4 of the ApoE protein mentioned above is moving the cholesterol across the brain carrying copper and iron that destroy the brain. Ellsworth in another blog post saying: "If you can keep your Cholesterol under 140 - you chances of developing a coronary heart disease are very small". Your doctor won't start talking with you about your Cholesterol level till you reach 200 - that's regarded still normal. If you go up to 225 then you are adding 25% to the risk of developing Alzeimer's disease and if you go up to 250 then you are adding 50% to the same. Our body needs a fat called Omega 3 fat (ALA), that is composed of a chain of 18 Carbon atoms joined together. The body links them to a chain containing 22 carbons which is called EPA. Adding 2 more carbons brings us to 24 carbons which is called DHA. It is the DHA that the brain needs. Omega 3 can be found in trace amounts in various vegetables, fruits & beans and in much higher amount in various walnuts, seeds, flax, flax oil and canola oil. The catch is that in order to link these Omega 3 18 carbons into DHA with 24 carbons – the body needs enzymes. Omega 6 fats are competing on the same enzymes because they too need those enzymes for linking with 6 more carbons. 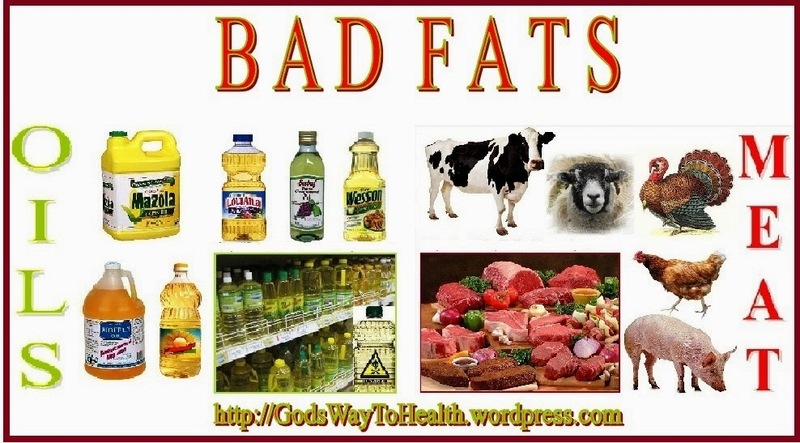 These omega 6 fats can be found in sunflower oil, corn oil, soy beans oil and grapes oil. So if you have too much omega 6 then they tie up all the enzymes and as result the body doesn’t get enough DHA. So while you do need omega 6 fats but if you consume too many of these like in a ‘normal’ diet then they are going to crowd out the omega 3 fats and your body will end up without the DHA molecules that it needs. The right ratio is 2-4 grams of omega 6 fats for every gram of omega 3. That is the optimum ratio. Greens and beans contain omega 3 to start with. It is thus recommended that you cut on all these competing oils – the cooking oils. 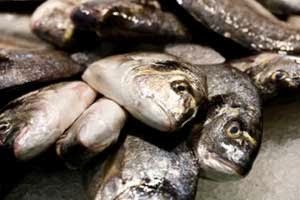 Fish contains Omega 3 fats and indeed there’s a research that eating fish reduces dementia however eating fish can make you overweight because 50% of them are fats and not only omega 3. Vitamin E Protects cells against free radicals attack. It’s an anti oxidant – it neutralizes free radicals just like those that are released to the body as result of iron and copper consumption. Unlike muscle cells, brain cells cannot be replaced – they are forever. So if a free radical damages your brain – it’s irreversible. Research indicates that vitamin E reduces the risk of Alzheimer - every 5 mg reduces the risk by additional 25%. 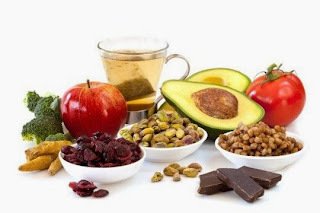 Supplementing with vitamin E is not a good idea because it contains only one form of this vitamin and because you have plenty of vitamin E in your food. I know that in my nutritarial diet I get 17.6 mg per day while the RDA is 15 mg. I get 43% of my vitamin E from nuts & seeds. Homocysteine is a non-protein amino acid that is created when the body digests protein. This acid is causing damage to the heart but also to the brain. The above vitamins lower Homocysteine in the brain and the research indicate that they contribute to sharper brain and better memory. Alzheimer’s patient’s brain is full of Homocysteine. The RDA for folate is 400 ug and I check that in my diet I get 1200 ug already. 42% from beans and 24% from greens. The RDA for B6 is 1.7 and I check that in my nutritarial diet I get 3.0. Whole grains, sweet potatoes, babans, greens & nuts are rich in B6. B12 supplementation is essential for vegans – they can’t get enough from the food. This vitamin is good for the memory especially for those with ApoE E4 that I described above. 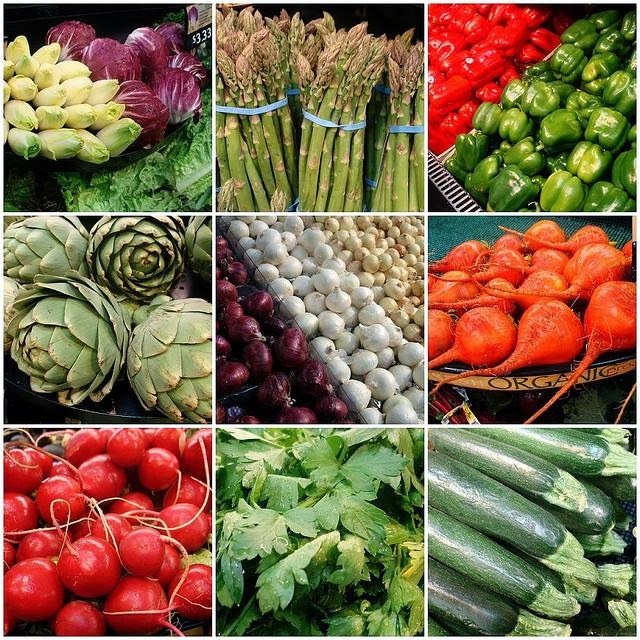 Dr. Barnard provides research results according to which those participants that consumed 3-4 servings of vegetables per day reduced their cognitive decline rate by about 40% relative to those that consumed only one serving. People who consumed an apple a day reduced their chances of getting stroke by 50% or more. In one research 64% less risk of developing Alzhaimer disease!! However only people that drank 3-4 cups per day could enjoy this benefit. However caffeine has its own problems. Speaking more than one language is too a mental stimulation. Research has proven that it can delay the onset of dementia and reduce the risk of developing Alzheimer’s disease. 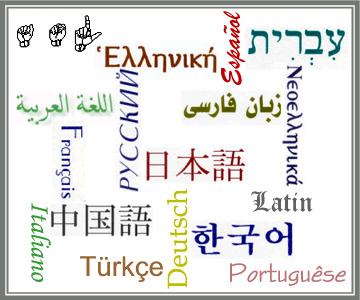 The more languages one speaks – the better. One site that is quoted in the book is https://chinese.yabla.com/ where you can watch mandarin TV with translation and you can slow down the audio. Very nice. When you have a physical training session, your heart starts pumping blood to all the body parts including the brain providing oxygen. New veins and new cells are built inside the hippocampus part of the brain. Whoever keeps on training over the years has thus lower risk of developing Alzheimer’s disease. It can actually reverse age related shrinkage of the brain. Exercise (together with a good diet) keeps your artheries clean. It is thus possible for blood to easily carry oxygen and nutrients into the brain on the way in and clear wastes and toxins on the way out. 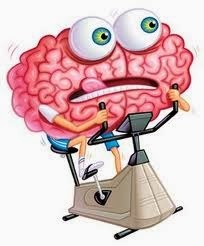 Exercise also helps with diseases such as diabetes, metabolic syndrome, etc – which impacts the brain. 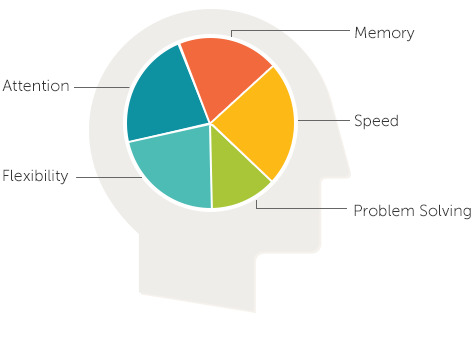 The Brain Drive Neurotrophic Factor (BDNF) is a secreted protein acts on certain neurons of the central nervous system and helps in supporting the survival of existing neurons as well as encouraging the growth of new neurons and synpases. Aerobic exercise increases the amount of this BDNF in the brain. Post mortem analysis has shown lowered levels of BDNF in the brain tissues of people with Alzheimer’s disease. Most people don’t get enough sleep – 8 hours of deep sleep is the optimum. Sleep helps us consolidate memories. If you learned something, read something then initially this information is fragile, it is during the sleep that your brain makes them permanent. Research suggests that the first half of the night is used for consolidating memories, facts and events. 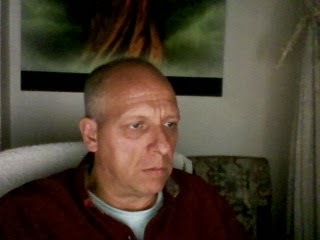 The second part of the night – is when we integrate memories related to new skills and emotions – this is the time when we experience some “dramas” as we are dreaming. With regard to the beta amyloid plaques that are so prevalent in the brain of Alzheimer’s patients – they have daily tides. During sleep they fall. 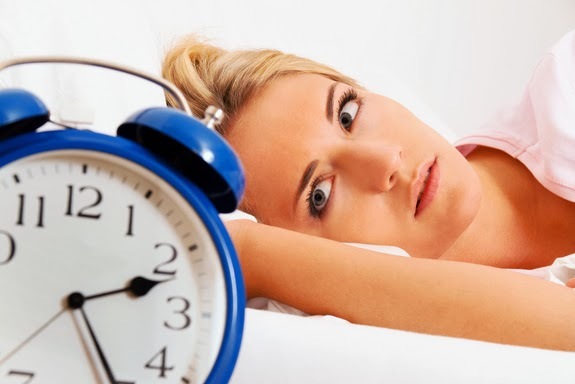 If you don’t sleep enough then you don’t give a chance for your amyloid plaques to ‘subside’. 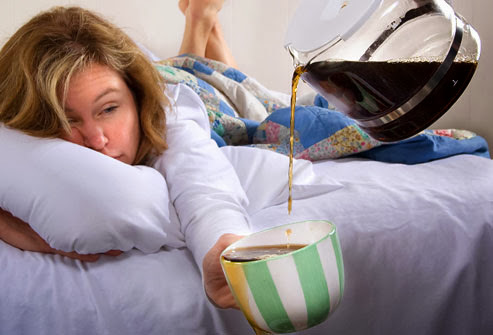 Caffeine may stand in your way for a deep and a restful sleep. For some people it does, for some it doesn’t. If you feel that you can’t fall asleep after drinking coffee then you should avoid coffee all together – don’t even drink it in the morning. It’s important to remember that the caffeine half life time is 6 hours. So if you drink coffee at 8 a.m. – ¼ of it shall still be in your blood at 8 p.m. You may say that it’s a habit that you can’t break – you just need it. All I can say is that habits and addictions can be changed. I used to drink 8-10 cups of coffee per day till 3/July/2013… today I don’t drink coffee. If you really need to cut on your coffee intake and you don’t do it – then it’s because you don’t want to!! Alcohol is even worse! Yes it does lull you into sleep, but you experience only the first half of the night… ~4 hours after you drink alcohol you wake up because your alcohol molecule changed to aldeheids. These are stimulants!! 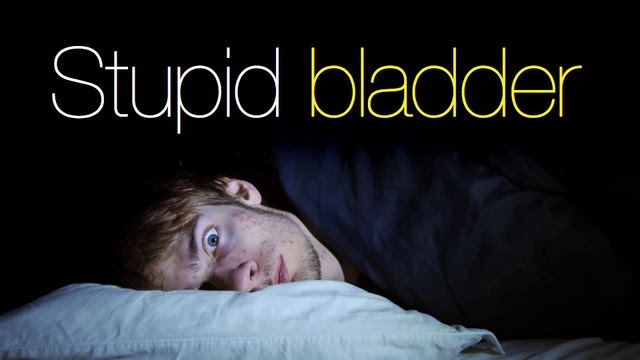 If you wake up several times during the night in order to urinate – then drink less during the evening. If it’s because of prostate problems – then treat them! I wake up several times during that night and I know I have to improve on these two fronts. I should eat my soup only at noon and I should check my prostate. I may have cancer, I mean with the way I treated my body up until half a year ago – I wouldn’t rule this option out so quickly. Serotonin is a mood regulating chemical that helps you sleep. If you eat carbs then your serotonin level goes up and if you eat proteins then your serotonin level goes down. Dr. Barnard thus suggests that for dinner you shall eat starches which are a form of carbs that you can find in rice, pasta and bread. In the morning he suggests that you eat proteins like beans and tofu. Don’t eat this stuff in the evening, he says because the protein shall block your serotonin. This is not something that I do today… I eat more carbs in the morning and I eat protein and carbs for lunch and dinner. I shall perhaps have to consider changing this. Dr. Barnard conclusion is that “Sleep deprivation is among the worst things you can inflict on your brain”. In my experience, I used to deprive myself from sleep, I just had to do so many things during the day, I had to meet impossible schedule at work, I would wake up at 3 or 4 a.m. in the morning daily for YEARS and it made me stressed, angry, depressed and made me sick. Today I sleep, or to be more accurate, try to sleep 8 full hours. Think about it – it requires a decision, you need to really put priorities in your life in order to make this happened. If you work 10 hours a day, commute 2 hours and sleep 8 hours then that’s already 20 hours out of 24! If you exercise and shower for a total of one hour and you prepare your food, laundry, etc – then you really don’t have enough time for reading a book, socializing, watching TV, helping your kids with school tasks (preparing their homework…) etc. That’s why I am saying that deciding that you are going to sleep 8 hours each night – is a big decision and I hope you got the motivation here. Some people claim that sleeping “is such a waste of time” (quoting my special lady here…) – well, let me copy here again the sentence above “Sleep deprivation is among the worst things you can inflict on your brain” – that’s my response! 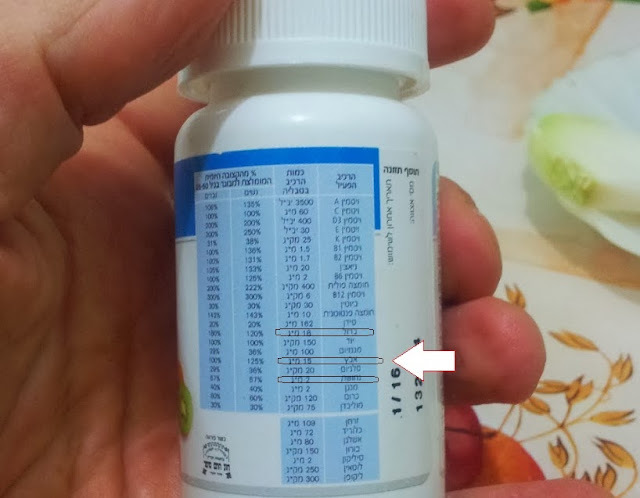 If you have memory problems, for example you start skipping words, then you should take a good look at your medicines. Dr. Barnard lists these medicines by name. We are talking here mainly about common cholesterol lowering drugs, sleeping medications, anti depressants, pain killers, blood pressure medicines & acid blockers. What are my "personal conclusions"? Well, about 2 months ago I came to the conclusion that I should take supplements. My reasoning was that I want abundant amount of nutrients. So as result I decided to take Iron & Zinc supplements. The doctor explained to me that I should take "good quality" iron supplement and she also "explained" to me that iron absorption is greater when the source is hemp iron (when eating meat). Well as result of reading this book I no longer believe I should supplement my body with metals!! I believe that my body gets enough iron and it absorbs the amount of iron that it needs. 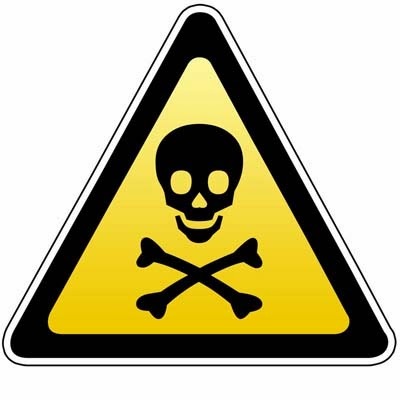 Also it was quite idiotic to bomb my body with Zinc supplements just because I had 87% of RDA... - My first priority should be to avoid metals poisoning. In addition and not related I supplemented with Choline - which is bad for the health - that supplement too is going down the drain. The other decision is to exercise my brain. I registered to Lumosity, and I shall start learning Chinese, I know that from the few lessons that I did take - it was a huge effort for my brain. I should also at some point arrange my daily meals such as to consume more carbs & starches in the evening for my Serotonin level. To avoid having to wake up several times in the night I should check my prostate and also drink my soups only at noon. I should continue with my nutritarian vegan diet, continue to avoid medicines, continue to supplement with B12 & Vitamin D (if there's not enough sun). 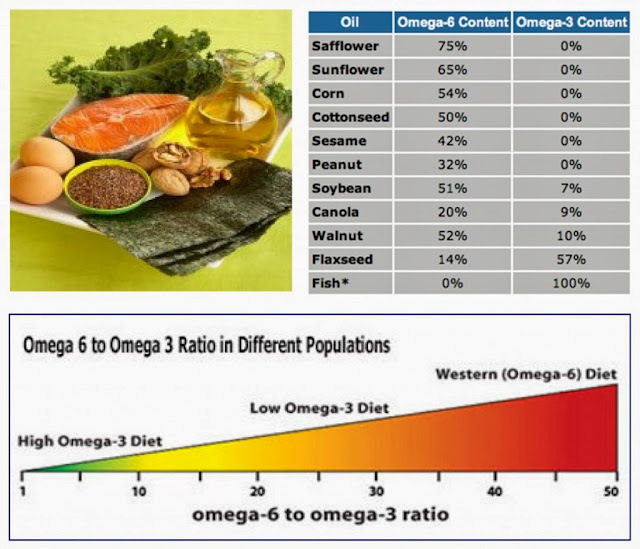 As for Omega-3 vs. Omega-6 - I shall have to explore this area and write more about it in future posts.